The proposal for three hotels on land outside development zones in the south is just an excuse to open up a stretch of virgin countryside for development, NGOs have warned. Times of Malta yesterday revealed details of a briefing paper prepared by the government’s privatisation unit proposing three hotels on a stretch of land from Smart City to Żonqor Point. A promenade and a beach club are included in the plans, all built on public land. “Having a briefing paper prepared by the government’s privatisation unit proposing a massive development in ODZ is nothing short of shameful and indicates who is running this country,” said Friends of the Earth chairman Martin Galea de Giovanni. The briefing paper was requested by the chairman of the Consultative Council for the South, Labour MP Silvio Parnis. The plans will be discussed at the council’s meeting on Thursday. Council members include the Malta Developers Association president, Sandro Chetcuti, who is backing the development. The three hotels would consist of a five-star one close to Smart City, a boutique hotel located within Fort St Leonard and an “iconic” one that would be located at the furthermost tip of Żonqor Point. “Once the hotels and promenade are constructed, this would eventually give rise to further development in the area. “This has already happened before in places like Buġibba. Making the same mistake is foolish,” Dr de Giovanni said. The brief recommends that the three government sites identified for the hotels would be awarded to the private sector as concessions granted on a 99-year “modest” emphyteutical grant plus an annual rent. It requests a “passionate commitment” from the Government Property Division to allocate the sites to the proposed projects. Flimkien għal Ambjent Aħjar said the fact that the government privatisation unit is presenting this proposal shows the authorities have no vision for integrated coastal planning or creativity to produce a different tourism product and strategy that would have provided a new and diverse experience and more sustainable benefits for the community. The justification for the proposed development is the “rejuvenation and development” of the south and lack of tourist accommodation in the region. The Jerma Palace Hotel on the opposite peninsula remains abandoned but the briefing paper makes no reference to incentives to revive it. Din l-Art Ħelwa said the south should not be ruined by excessive development, as had happened in the north. “Building hotels on more of Malta’s shores will add to the ring of cement that mars our coastline. “The south must learn from the mistakes of the north where tourism and development have defaced whole areas,” DLĦ president Simone Mizzi said, citing Mellieħa and St Paul’s Bay as examples. DLĦ said the restoration of Fort St Leonard would be positive as new construction should be located on old developments. “It deserves to have more dignified use than the cattle farm it has been. 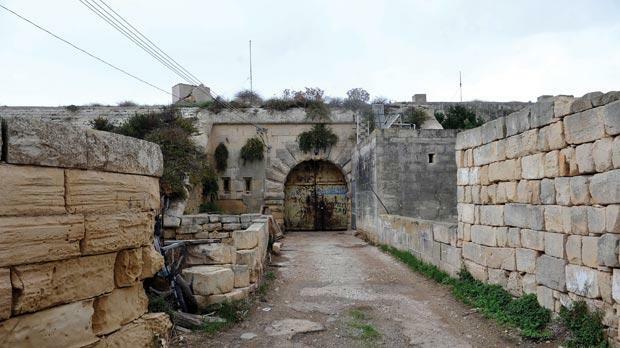 But if its development is not done sensitively it will lose its military context such as it did at Fort Cambridge in Tigné, a shambolic example of preservation,” Ms Mizzi said.